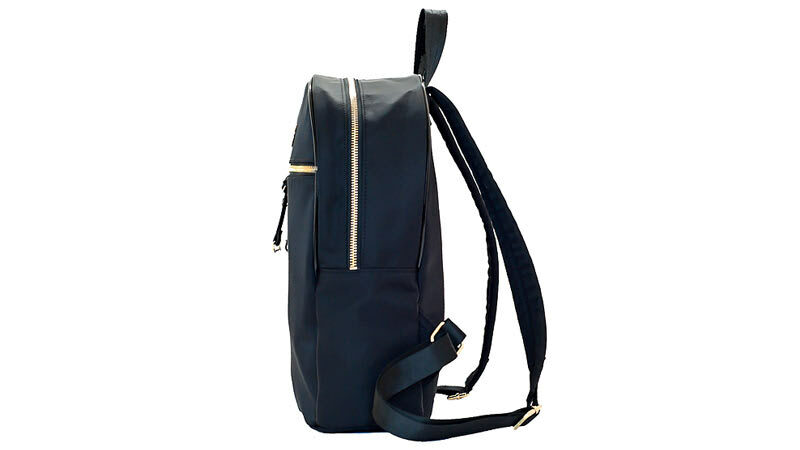 The perfect addition to compliment our range, the new black nylon backpack is exactly what you have been searching for. A practical solution to carrying your things in a more ergonomic fashion. 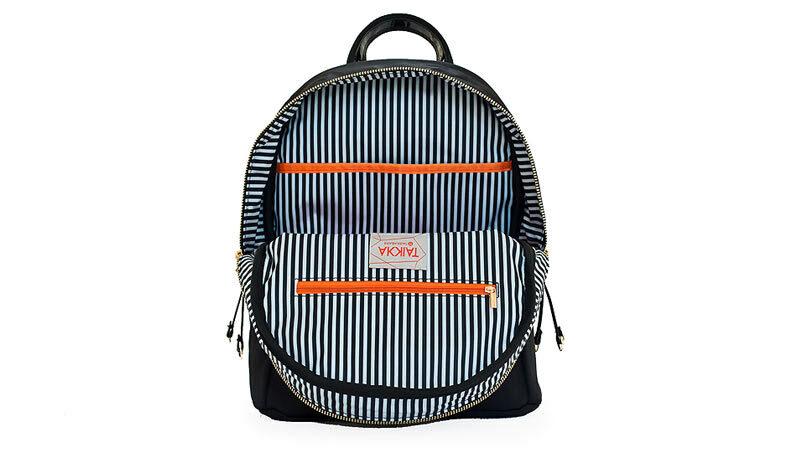 Stylish and sleek, the backpack uses a contemporary black and white striped durable ripstop lining with both a slip pocket and an internal zip pocket. 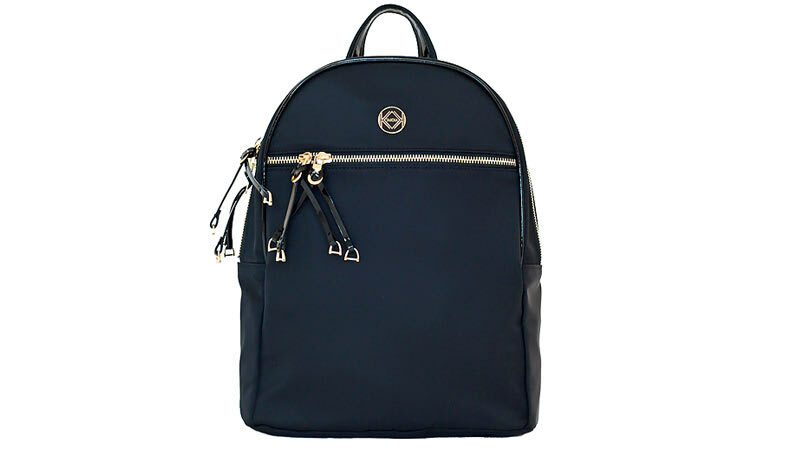 It's smartly finished with an external gold front zip pocket. Both the main zip and the front pocket are 2-way and detailed with black patent zip pullers.